Book after dinner show "Norvil & Josephine"! The magician duo Norvil & Josephine present after dinner shows throughout the UK and internationally for all sorts of events. The act can be performed either on a dance floor space or on stage. They’re available for hire as one of the top after dinner shows in the UK. Their shows have been featured at one of the most famous UK variety theatres, Leeds City Varieties and likewise in dinner cabarets around the country. This is a unique after dinner show because, apart from incredible magic, unusually they blend it with entertaining demonstrations of acrobatics and singing. It’s a true classic after dinner variety show proving that variety is alive and well! AN AFTER DINNER SHOW NEED MAGIC ! 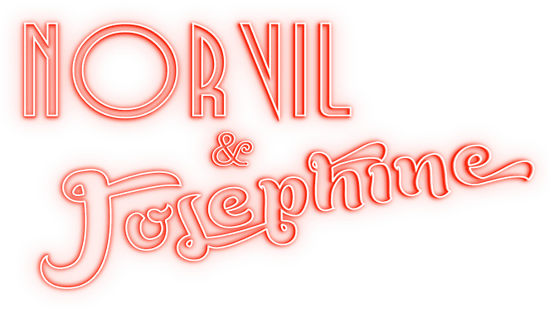 Norvil & Josephine are in demand for their after dinner show because of their punchy visual feast of amazing magic, entertainment and surprises. Their award winning fun-filled act has received critical acclaim and is perfect if you're looking for a variety or magician show to dazzle at your event. The team brings to the job their flexibility to draw from their varied repertoire and custom craft you a routine that will shine in your venue, and work around how much space you have or technical facilities that are to hand. Click on after dinner show for lots more info about how Norvil & Josephine could appear at your event to present their special after dinner show that your guests will be talking about for years to come.